We’ve got a special interview for you today – if you’ve ever thought of starting a blog in your spare time, or even dreamed of becoming a full time blogger one day, you need to read this interview with one of the most successful personal finance bloggers out there. 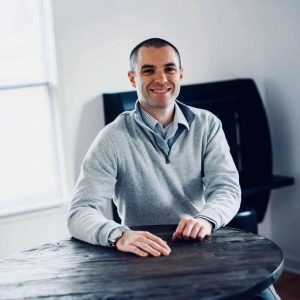 Today we have Jeff Proctor from Dollar Sprout with us to share how he and his partner Ben turned their side hustle into a full-time blogging empire! As Jeff himself admits, he didn’t start as a blogging genius, but through hard work and determination he achieved the status of full time blogger. Jeff started like anyone else with just a domain name…but within a few short years grew his blog to over $440,000 in annual revenue! There are a lot of “get rich quick” blogging stories out there, and many of them seem too good to be true. What most people don’t tell you is the hours, months, and years spent turning their blog into an “overnight success”. Jeff is an extremely humble guy, and he has personally helped me out in my own blogging journey. He doesn’t spare any details in describing his difficult yet rewarding journey to becoming a full time blogger, and his goals to grow even further. My name is Jeff Proctor. I am 29 years old and live in Blacksburg, VA (Go Hokies!). 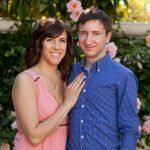 My main personal finance blog is DollarSprout.com, but I also occasionally blog about blogging over at BreakingTheOnePercent.com. How did your side hustle turn into full time blogging? So, I’m one of the fortunate few who has been able to turn their side hustle into their full-time gig. Almost four years ago me and my roommate Ben started a website geared towards helping people pick stocks. And while that initial project ended up being a bust (we made almost no money at all), it led us down the rabbit hole of blogging and affiliate marketing. Slowly but surely, our side hustle income grew to something that could end up supporting both of us, which we are very grateful for. Fast forward to now, Ben and I run DollarSprout.com full time alongside a small team of writers and editors. Our blog is focused on helping millennials learn the basics of money management. Why did you want to start a side hustle? The main thing that compelled me to want to actually start my side hustle was hating my job. I know that’s a common bond between a lot of people that end up eventually pursuing entrepreneurship, and I was no exception. In fact, the idea of starting my own business was never even on my radar in high school or college; it only hit me after I was already in the working world. I used to work for a financial adviser where I was in charge of managing client portfolios and a lot of administrative work. This was my first job out of college and it only took me about a year to decide that I did not like working for somebody else. So, starting in 2014, I began saving up money as fast as I could with the goal of eventually leaving my job to start my own business. By August 2015, I was officially out on my own. How and when did you get started? Were you a full time blogger right away? We first launched our blog in February 2015, just a few months before I decided to leave my job to try to do this full-time (which was not a smart decision, by the way). Getting started was fairly straightforward; we just put up a website and started writing content! At the time, we really had no idea what we were doing. 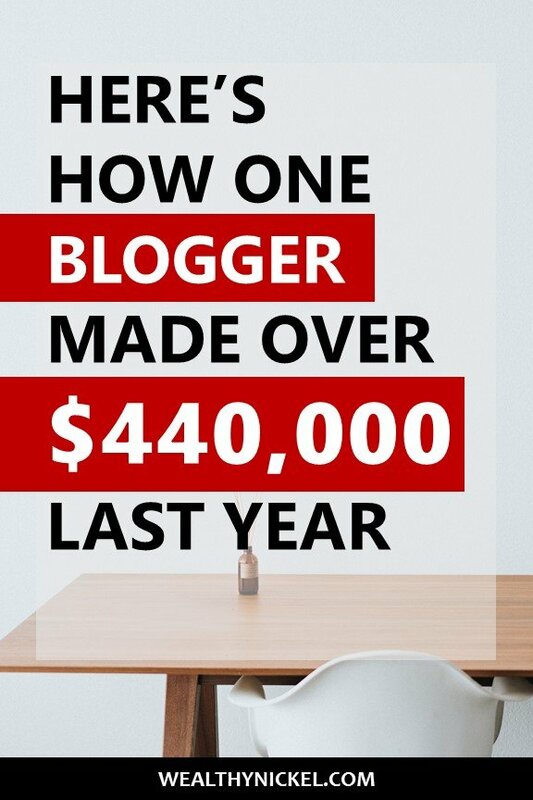 How much money have you made with your blog, and how has it progressed over time? Last year our business grossed just over $440,000 revenue earned, with approximately $102,000 in expenses. The year before, we made just over $90,000. Right now we are closing in on a record month for us, with hopefully somewhere between $170,000-$180,000 in accrued revenue. 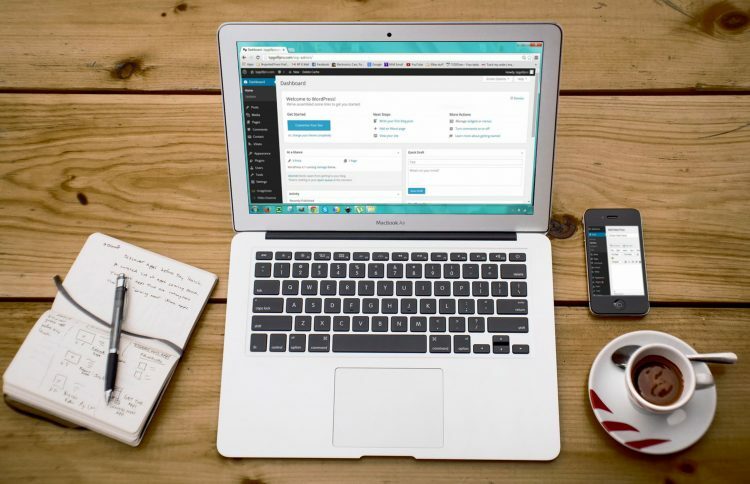 What are the costs involved in running a full time blog? The investment up front to get started is quite minimal, just a few dollars for a hosting package and that was pretty much it. For us, the real investment was our time. Ben and I spent basically every waking minute working on our blog, just trying to learn the ropes and figure out how we were going to make this work. We still spend a significant amount of time on the blog. Nowadays, our expenses are much higher as we are trying to scale further. Between freelance writers, Facebook ads, and other expenses, we are spending well into the five figures each month to grow and sustain our blog. For us, we’ve always tried to be responsible with how we reinvest our profits into the company. Ben and I have tried to reinvest at least 50% of total revenue back into the business. At some point that may change (either up or down), but for now we are both content with trying to grow the business as much as possible. What are the day to day activities involved in running your blog, and how did you built it up to where it is now. What made you successful? Right now my day-to-day activities are a lot different than what they looked like when we were just starting out. Wake up around 7 a.m.
Eat breakfast, get coffee and open my inbox around 8 a.m. I also usually make an effort to check in on our competitors or learn something new each day, if I can. I like to stay on top of whatever is happening in our space. I think one of the biggest things that led to Ben and I reaching some level of success is that we were always willing to try something new until we found something that worked. Even though in our first year we didn’t make any money, we didn’t give up, and we always tried to find new ways to build traffic and get people to our site. Eventually, all that work finally started to pay off. It just took a lot longer than either of us expected. What was the most memorable turning point in your journey. When did you know you would make it as a full time blogger? I still remember the first day we finally had something go “viral” on Pinterest. This was our last ditch attempt at getting traffic, as neither Ben nor myself had ever used the platform before. I remember sitting there in disbelief as Google Analytics finally showed a number higher than 2 active users. It felt like an absolute miracle! What obstacles have you had to overcome to achieve success? What mistakes have you made? I think the biggest obstacle that we overcame was failure itself. When I left my full-time job August of 2015, I was completely out of money by June 2016. I had to start completely over from square one and go back and get a job. I ended up finding a job at a psych ward where I got paid $11.36 an hour (a 50% paycut from my previous job). At the time it felt like a punch to the gut, but I refused to give up on my dream of being a successful business owner. It took an unreal amount of persistence to keep working on the blog while also working 12 hours at the hospital, but it was those early mornings and late nights that eventually led to our success. What are your goals for the future of your blogging empire? Right now my goals are fairly ambitious. My number one goal for this year is to surpass 2 million dollars for the business, and grow our team even more. One of my favorite parts about entrepreneurship is the opportunity gives you to provide jobs for others. To me, it’s where I get a lot of my satisfaction. As far as long term goals go, I don’t quite know yet where I want to take things. I love the idea of competing with the bigger players in our space, and one day I’d like to see DollarSprout become a mainstream, trusted brand for all things personal finance. Whether someone is researching what savings account is best for them, or they just want to read an inspiring debt payoff story, I want to be THE resource they turn to. That being said, I know that my goals today may not necessarily be the same goals I have by this time next year. For now I am happy to just go with the flow and see how far we can take things! What are the pros and cons of being a full time blogger? Pros: Infinite scalability and unlimited potential to change other people’s lives and your own. Cons: It’s an incredibly slow grind at first, and most people give up long before they see any amount of success. My biggest piece of advice for someone looking to get started with blogging is to simply get started. This is very much a “learn as you” go type of side hustle, and there is no way you’re going to know everything when you’re first starting out – and that’s okay. Just get your website up, start putting words onto the screen, and connecting with others on social media. To me, the perfect blogging candidate is someone who is patient, persistent, inquisitive, and relentless in figuring out ways to make it all work. You also need to be willing to learn multiple skill sets, because successful blogging requires you to wear many different hats. Thanks Jeff, for sharing your story of becoming a full time blogger! One of the main takeaways for me is that what often looks like overnight success actually requires many late nights, strategic pivots, and years of hard work and consistency to make it. I can attest from my own personal blogging journey, that it takes A LOT of work behind the scenes that others don’t necessarily see. You have to love it enough to do it for free for months or even years before you can start to earn a decent income. But Jeff shows there is no magic to becoming successful. 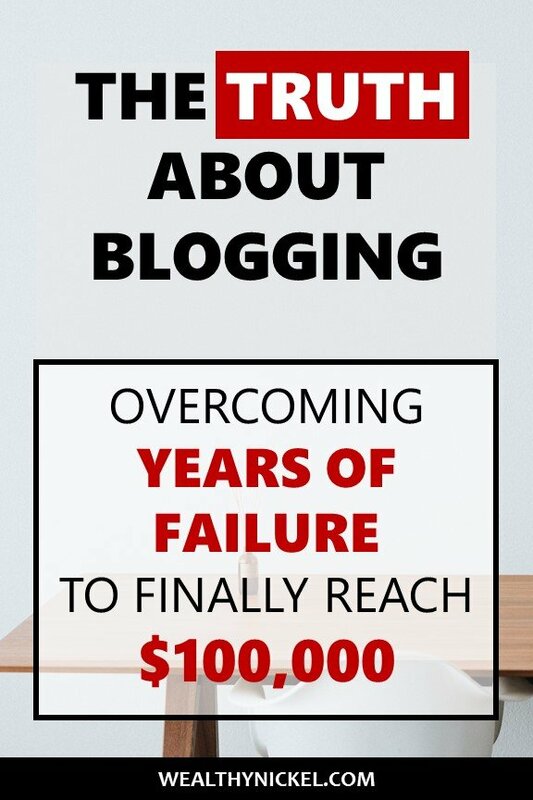 If you’re willing to stick with it, almost anyone can become a full time blogging success! This is amazing. Really well crafted interview. I hope you don’t mind me commenting here but I write a very similar blog where I interview side hustlers here in the UK. I found this story very motivating. Especially for any new bloggers. Thanks for putting it together. Maybe we could work on something together one day and we write in very similar fields? Awesome interview! Goes to show what hard work and patience can do! Makes me want to work hard on my site. Jeff and Ben are amazing guys and I have been following them for over a year now. They put a lot of efforts in every article they publish and surely know how to keep the community engaged.